Home >> Ring Kits >> 982pc Stainless Steel External E-Ring Assortment. Made in The USA. 982pc Stainless Steel External E-Ring Assortment. Made in The USA. 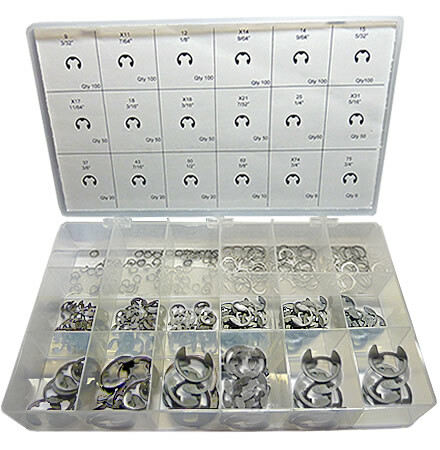 982pc Stainless Steel External E-Ring Assortment. 18 Diffrent Sizes. Material: Stainless Steel. System of Measurement: Inch. E-Rings are often referred to as "C" Rings or Radial Retaining Rings. Made in The USA!